The GDPR legislation recently introduced by the EU Parliament requires all companies who hold data to be compliant. TDR makes it compulsory for all its customers to opt-in to have their details saved and stored. You must give us consent to hold this information, which comprises name, address, email address, phone number, order history and IP address. If you have any questions on this, please contact us. We may collect and process the following data about you: Information that you provide by filling in any forms on our sites – www.totaldiscrepair.co.uk, www.repack-it.co.uk or any others that we own and may from time to time use to collect data or when otherwise contacting us; if you contact us, we may keep a record of that correspondence; details of transactions you carry out through our site and of the fulfilment of your orders; details of your visits to our site and the resources that you access. You are able to opt out of us holding this information at any point. Please contact us to request this. We do not and never will sell or pass your data on to third parties. As well as legally having to opt in to continue a business relationship with TDR you also are given the opportunity to opt out at any point and have your data removed from our records. To effect this, please contact us. If we are under a duty to disclose or share your personal data in order to comply with any legal obligation, or in order to enforce or apply any of our terms and conditions. Our site may, from time to time, contain links to third party websites. If you follow a link to any of these websites, please note that these websites have their own terms and privacy policies and that we do not accept any responsibility or liability for these sites and their terms and policies. Regulation (EU) 2016/679 of the European Parliament gives you the right to access the information that we hold about you at any point. Should you wish to receive details that we hold about you please contact us. Customer’s Instructions. By entering into this Data Processing Amendment, The customer instructs TDR to process Customer Personal Data only in accordance with applicable law: (a) to provide the Services and related technical support; (b) as further specified via Customer’s use of the Services and related technical support; (c) as documented in the form of the applicable Agreement, including this Data Processing Amendment; and (d) as further documented in any other written instructions given by Customer and acknowledged by TDR as constituting instructions for purposes of this Data Processing Amendment. TDR’s Compliance with Instructions. As from the Full Activation Date, TDR will comply with the customer instruction (including with regard to data transfers) unless EU or EU Member State law to which TDR is subject requires other processing of Customer Personal Data, in which case TDR will inform Customer For clarity, TDR will not process Customer Personal Data for Advertising purposes or serve Advertising in the Services.TDR will only retain data from Customers who have made a purchase and thus have given consent. Deletion During Term. 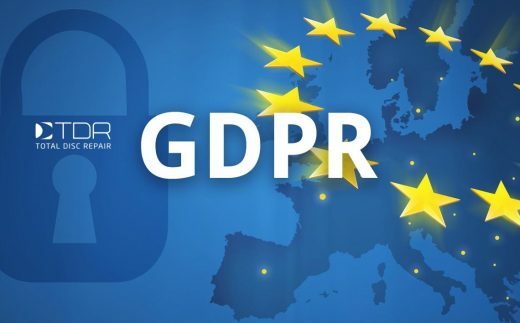 TDR will enable Customer and/or End Users to delete Customer Data during the applicable Term.TDR will comply with this instruction as soon as reasonably practicable and within a maximum period of 180 days, unless EU or EU Member State law requires storage. Deletion on Term Expiry. On expiry of the applicable Term Customer instructs TDR to delete all Customer Data (including existing copies) from TDR’s systems in accordance with applicable law. TDR will comply with this instruction as soon as reasonably practicable and within a maximum period of 180 days, unless EU or EU Member State law requires storage. TDR’s Security Measures, Controls and Assistance. TDR’s Security Measures. TDR will implement and maintain technical and organizational measures to protect Customer Data against accidental or unlawful destruction, loss, alteration, unauthorized disclosure or access as described in Appendix (the “Security Measures”). As described in Appendix , the Security Measures include measures to encrypt personal data; to help ensure ongoing confidentiality, integrity, availability and resilience of TDR’s systems and services; to help restore timely access to personal data following an incident; and for regular testing of effectiveness. TDR may update or modify the Security Measures from time to time provided that such updates and modifications do not result in the degradation of the overall security of the Services. Security Compliance by TDR Staff. TDR will take appropriate steps to ensure compliance with the Security Measures by its employees to the extent applicable to their scope of performance, including ensuring that all persons authorized to process Customer Personal Data have committed themselves to confidentiality or are under an appropriate statutory obligation of confidentiality. Incident Notification. If TDR becomes aware of a Data Incident, TDR will: (a) notify Customer of the Data Incident promptly and without undue delay; and (b) promptly take reasonable steps to minimize harm and secure Customer Data. Details of Data Incident. Notifications made pursuant to this section will describe, to the extent possible, details of the Data Incident, including steps taken to mitigate the potential risks and steps TDR recommends Customer take to address the Data Incident. Delivery of Notification. Notification(s) of any Data Incident(s) will be delivered to the Notification Email Address or, at TDR’s discretion, by direct communication (for example, by phone call or an in-person meeting). Customer is solely responsible for ensuring that the Notification Email Address is current and valid. No Assessment of Customer Data by TDR. TDR will not assess the contents of Customer Data in order to identify information subject to any specific legal requirements. Customer is solely responsible for complying with incident notification laws applicable to Customer and fulfilling any third party notification obligations related to any Data Incident(s). No Acknowledgment of Fault by TDR. TDR’s notification of or response to a Data Incident will not be construed as an acknowledgement by TDR of any fault or liability with respect to the Data Incident. (a) Customer is solely responsible for its use of the Services. (b) TDR has no obligation to protect Customer Data that Customer elects to store or transfer outside of TDR’s systems (for example, offline or on-premise storage), or to protect Customer Data by implementing or maintaining Additional Security Controls except to the extent Customer has opted to use them. (a) Customer is solely responsible for reviewing the Security Documentation and evaluating for itself whether the Services, the Security Measures, the Additional Security Controls and TDR’s commitments under this Section 7 (Data Security) will meet Customer’s needs, including with respect to any security obligations of Customer under the European Data Protection Legislation and/or Non-European Data Protection Legislation, as applicable. (b) Customer acknowledges and agrees that (taking into account the state of the art, the costs of implementation and the nature, scope, context and purposes of the processing of Customer Personal Data as well as the risks to individuals) the Security Measures implemented and maintained by TDR as set out in(TDR’s Security Measure provide a level of security appropriate to the risk in respect of the Customer Data. If the European Data Protection Legislation applies to the processing of Customer Personal Data, TDR will allow Customer to apply via Subject Access Request (SAR)to verify TDR’s compliance with its obligations under this Data Processing Regulation.TDR will submit to such audits within thirty days. Impact Assessments and Consultations. Customer agrees that TDR will (taking into account the nature of the processing and the information available to TDR) assist Customer in ensuring compliance with any obligations of Customer in respect of data protection impact assessments and prior consultation, including if applicable Customer’s obligations pursuant to Articles 35 and 36 of the GDPR, by providing the information contained in the applicable Agreement including this Data Processing Amendment. Access; Rectification; Restricted Processing; Portability. During the applicable Term, TDR will, in a manner consistent with the functionality of the Services, enable Customer to access, rectify and restrict processing of Customer Data, including via the deletion functionality provided by TDR as described above, and to export Customer Data. Customer’s Responsibility for Requests. During the applicable Term, if TDR receives any request from a data subject in relation to Customer Personal Data, TDR will advise the data subject to submit his/her request to Customer, and Customer will be responsible for responding to any such request including, where necessary, by using the functionality of the Services. Data Storage and Processing Facilities. Customer agrees that TDR may, store Customer Data in the United States and any other country in which TDR or any of its Parent Companies maintains facilities. (b) if under the European Data Protection Legislation TDR reasonably requires Customer to use an Alternative Transfer Solution offered by TDR, and reasonably requests that Customer take any action (which may include execution of documents) strictly required to give full effect to such solution, Customer will do so. TDR’s provision of the Services and related technical support to Customer. The applicable Term plus the period from expiry of such Term until deletion of all Customer Data by TDR in accordance with the Data Processing Amendment. TDR will process Customer Personal Data submitted, stored, sent or received by Customer, its Affiliates or End Users via the Services for the purposes of providing the Services and related technical support to Customer in accordance with the Data Processing Amendment. As from the Amendment Effective Date, TDR will implement and maintain the Security Measures set out in this Appendix 2 to the Data Processing Amendment. TDR may update or modify such Security Measures from time to time provided that such updates and modifications do not result in the degradation of the overall security of the Services. Infrastructure. TDR stores all production data in physically secure office building. Server Operating Systems. TDR servers use a WIndows based implementation. Data is stored using Sage Database and the Google cloud. Businesses Continuity. TDR replicates data over multiple systems to help to protect against accidental destruction or loss. TDR has designed and regularly plans and tests its business continuity planning/disaster recovery programs. Data Transmission TDR transfers data via Internet standard protocols, in encrypted form. Incident Response. TDR monitors a variety of communication channels for security incidents, and TDR’s security personnel will react promptly to known incidents. Encryption Technologies. TDR makes HTTPS encryption (also referred to as SSL or TLS connection) available, and also uses E2EE. On-site Security. TDR maintain on-site security 24 hours a day, 7 days a week. TDR monitor Closed Circuit TV (CCTV) cameras and all alarm systems. On-site office Security Devices. TDR’s offices employ an electronic card key access control system. The access control system monitors and records each individual’s electronic card key and when they access doors, Unauthorized activity and failed access attempts are logged by the access control system and investigated, as appropriate. Authorized access throughout the business operations and offices is restricted based on zones and the individual’s job responsibilities. The fire doors at the offices are alarmed. CCTV cameras are in operation both inside and outside the offices. The positioning of the cameras has been designed to cover strategic areas including, among others, the perimeter, doors to the office building, and shipping/receiving. On-site security operations personnel manage the CCTV monitoring, recording and control equipment. Secure cables throughout the offices connect the CCTV equipment. Cameras record on site via digital video recorders 24 hours a day, 7 days a week. The surveillance records are retained for up to 7 days based on activity. Internal Data Access Processes and Policies – Access Policy. TDR’s internal data access processes and policies are designed to prevent unauthorized persons and/or systems from gaining access to systems used to process personal data. TDR aims to design its systems to: (i) only allow authorized persons to access data they are authorized to access; and (ii) ensure that personal data cannot be read, copied, altered or removed without authorization during processing, use and after recording. The systems are designed to detect any inappropriate access. TDR employs a centralized access management system to control personnel access to production servers, and only provides access to a limited number of authorized personnel. LDAP, Kerberos and SSH certificates are designed to provide TDR with secure and flexible access mechanisms. These mechanisms are designed to grant only approved access rights to site hosts, logs, data and configuration information. TDR requires the use of unique user IDs, strong passwords, and carefully monitored access lists to minimize the potential for unauthorized account use. The granting or modification of access rights is based on: the authorized personnel’s job responsibilities; job duty requirements necessary to perform authorized tasks; and a need to know basis. The granting or modification of access rights must also be in accordance with TDR’s internal data access policies and training. Approvals are managed by workflow tools that maintain audit records of all changes. Access to systems is logged to create an audit trail for accountability. Where passwords are employed for authentication (e.g., login to workstations), password policies that follow at least industry standard practices are implemented. These standards include password expiry, restrictions on password reuse and sufficient password strength. TDR stores data on TDR-owned servers. TDR logically isolates data on a per End User basis at the application layer. TDR logically isolates each Customer’s data, and logically separates each End User’s data from the data of other End Users, and data for an authenticated End User will not be displayed to another End User (unless the former End User or an Administrator allows the data to be shared). Decommissioned Disks and Disk Erase Policy. Certain disks containing data may experience performance issues, errors or hardware failure that lead them to be decommissioned (“Decommissioned Disk”). Every Decommissioned Disk is subject to a series of data destruction processes (the “Disk Erase Policy”) before leaving TDR’s premises either for reuse or destruction. Decommissioned Disks are erased in a multi-step process. If, due to hardware failure, the Decommissioned Disk cannot be erased, it is securely stored until it can be destroyed. TDR personnel are required to conduct themselves in a manner consistent with the company’s guidelines regarding confidentiality, business ethics, appropriate usage, and professional standards. TDR conducts reasonably appropriate backgrounds checks to the extent legally permissible and in accordance with applicable local labor law and statutory regulations. Personnel must acknowledge compliance with TDR’s confidentiality and privacy policies. Personnel handling Customer Data are required to complete additional requirements appropriate to their role.TDR’s personnel will not process Customer Data without authorization.